Mind Games by Kiersten White was kindly provided to me by Edelweiss for Harper Collins Children. I adore Ms. White’s Paranormalcy series so I was quite anxious to read this book and it is definitely not what I was expecting; it was a thrilling story that kept me riveted throughout and left me eagerly anticipating the next book. Mind Games showed the close bond between sisters Sofia (Fia) and Annabelle (Annie), told from alternating points of view we learn more about these intriguing characters and how they came to reside at the Keane School Foundation, we learn about their special abilities and how they are now puppets to a more sinister plan. Annie is a Seer who has visions of the future, born without sight she is the more reasonable of the sisters but is used as a pawn to get Fia to cooperate; Fia has been hardened by her training as an assassin, born with flawless instincts her ability is more in demand and her life controlled with no possible way out. I adored both of the sisters for different reasons, I felt for the life they were forced to live and of their treatment; you couldn’t help but hope for happiness and freedom for them both. Their close bond and relationship was endearing but it didn't come without some betrayal and misunderstandings. We get the sisters background through flashbacks of their past, starting from the death of their parents and building up to how their abilities are now used for corporate espionage. The plot was certainly unique but I was more curious about the schools overall purpose and their main goal which I don’t think we truly find out. Fia was my favourite of the sisters, she held so much anger and frustration which came across in her chapters, I found myself glued to the pages as we learn more about her past, she was definitely the stand-out character, what she has endured and why she is the way she is really saddened me. Her devotion to her sister was amazing, there wasn't anything she wouldn't do for Annie. We have two potential love interests (for Fia), Adam Denting, a neurologist who Fia was supposed to assassinate and James Keane who now manages the institute but has an agenda of his own – I don’t feel we learn enough about both of these characters to form true opinions, I wanted to like James but didn’t trust him at all and Adam didn’t get all that much page time but I think he will play a larger role in future installments. The romance was there but definitely not at the forefront of the story. Comparing Mind Games to Ms. White’s first trilogy, it definitely has a darker grittier feel to it which I quite liked; her writing is engaging and definitely kept me glued to the pages, I literally finished this in one sitting (although at only 256 pages it wasn’t all that long). 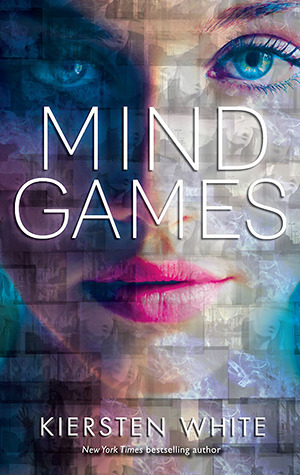 I quite liked Mind Games; although parts were choppy and sensory details were at times lacking it was an enjoyable read none the less and has left me quite eager to read the sequel. Overall, I thought Mind Games was a thrilling read filled with mystery, action and intrigue. The psychological aspect was interesting and with many questions left unanswered I am definitely keen to read the next installment which has an anticipated 2014 release date. Thank-you to Harper Collins Children for the opportunity to read and review Mind Games. UK edition - what do you think of the different covers? 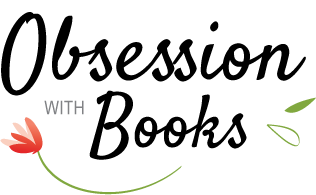 About the Author: Kiersten White is the New York Times bestselling author of the Paranormalcy trilogy. Although originally meant to be a story of a femme-fatale, Mind Games quickly turned into a story about two sisters and impossible choices. This may be because Kiersten has three sisters, none of whom she has killed for, but all of whom she has considered killing at one point or another. Kiersten lives in San Diego with her family. Visit her online at www.kierstenwhite.com and follow her on Twitter @kierstenwhite. Thankyou Stefanie, I hope you enjoy this as much as I did. yep, I thought the same thing. This is very worth reading. Thanks Mary :-) too true. I honestly haven't been that interested in Mind Games, but reviews like yours are changing my mind. I'm glad you liked it so much, despite the choppiness. I love how different readers respond differently, b/c I just read a review where someone said they couldn't connect with Fia at all! But I'm glad you liked her. I need to read this! I loved White's PARANORMALCY books. I have read a few reviews as well about Fia, but I thought she was great; I sympathised with her & could feel her anger & pain. My TBR is out of control! I keep forgetting that this is the same book as Sister Assassin! 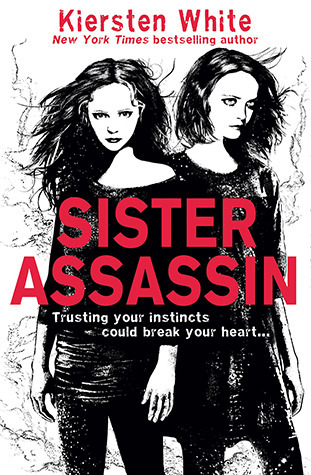 I haven't read too many positive reviews of it, but the fact that it involves sisters really intrigues me and the idea is unique, too. I think the US cover is prettier but the UK version is different, both are good! I didn't realise they were the same book initially, the covers are so different but I definitely prefer the US cover. I loved that it was about sisters, their relationship was sweet but they couldn't have been more different. I really enjoyed Fia's character too. Glad you enjoyed. I hope you enjoy it Keertana :) it is so different to her Paranormalcy series, a lot darker which I liked. Ok, I haven't read her other series..but I love that you find this Darker...which is so my cup of coffee! Awesome review, this one is going on my list! I think I'm going to enjoy this series alot more for the same reason.